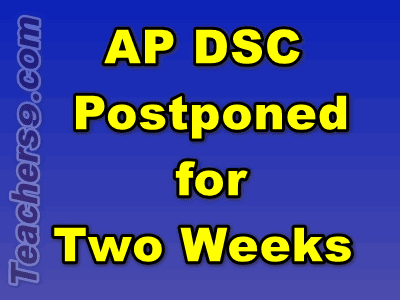 Because of huge demand and various issues AP DSC 2018 Exams have been postponed for Two Weeks. The AP DSC 2018 Exams which were scheduled to begin from 06.12.2018 are postponed to 19th December. The Brief Schedule is as follows: The Postponed New Schedule of AP DSC 2018 will be hosted in the Official Website apdsc.apcfss.in shortly.